Bike is one of best ways to explore the spectacular scenery of the Peak District. 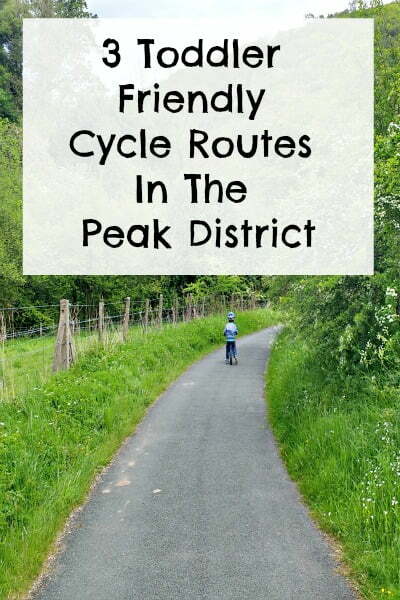 There are loads of toddler friendly bike rides in the Peak District – all of which are wide, traffic tree and flat. 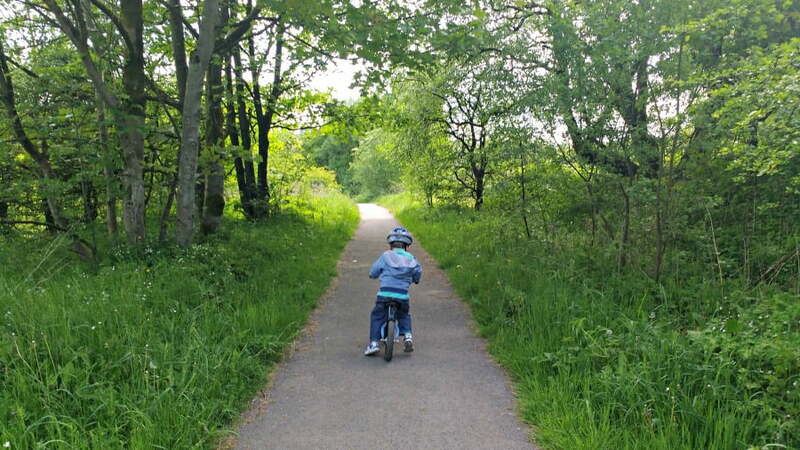 But which are the best cycle trails for toddlers in the Peak District? As well as being mainly traffic free, the cycling trails in the Peak District are well designed with bike hire shops dotted around them where you can hire baby seats, tag a longs, and even bikes if you don’t have them. There are also plenty of places to stop off at along the way for a snack or an ice cream. Some of the trails are too long for little legs to pedal along in one go, but there are plenty of places to join and leave the trails (with car parking) so you don’t have to cycle along the whole distance in one go. The cycle trails also pass through the very best of the Peak District countryside so there are stunning views along the way, as well as some cool things like caves to explore! This is our favourite cycling trail in the Peak District! 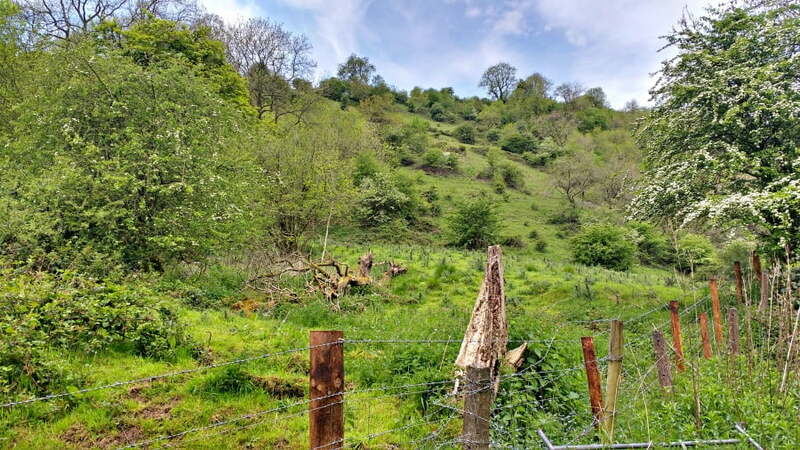 This family friendly cycle trail runs from Swainsley to Wetton Mill passing past Thor’s Cave, along the route of the disused Leek and Manifold Valley Railway. It was the first railway path to be created in Britain following the closure of the Leek and Manifold Valley Light Railway in 1934 after just 30 years of service. The trail follows the Valley floor so is more sheltered than other trails including the Tissington Trail. It also follows the path of the Manifold and Hamps rivers so there is always plenty to see as you cycle through wooded areas, farms and fields. We parked at Waterhouses and cycled down the Manifold Valley Trail past the Lee House Tea Room which is 1.5 miles down the Trail. We carried on for a bit and then went back to the Lea House Tea Room for lunch outside in their garden! Toilets and refreshments are also available at Wetton Mill. The trail is quite narrow in places, and is shared with horses and walkers so it can get busy at times. There is a 2 mile section of the trail which is shared with motor vehicles (we managed to avoid this bit). Where:The Manifold Valley Trail starts at Hulme End and ends at Waterhouses Old Station Car Park. Terrain: Nice, gentle trail which is tarmacked and mostly traffic free. There is a small part of it (Swainsley to Wetton Mill) which is through a tunnel which is shared with motorized vehicles. Things To See On The Way: How about a spooky cave? 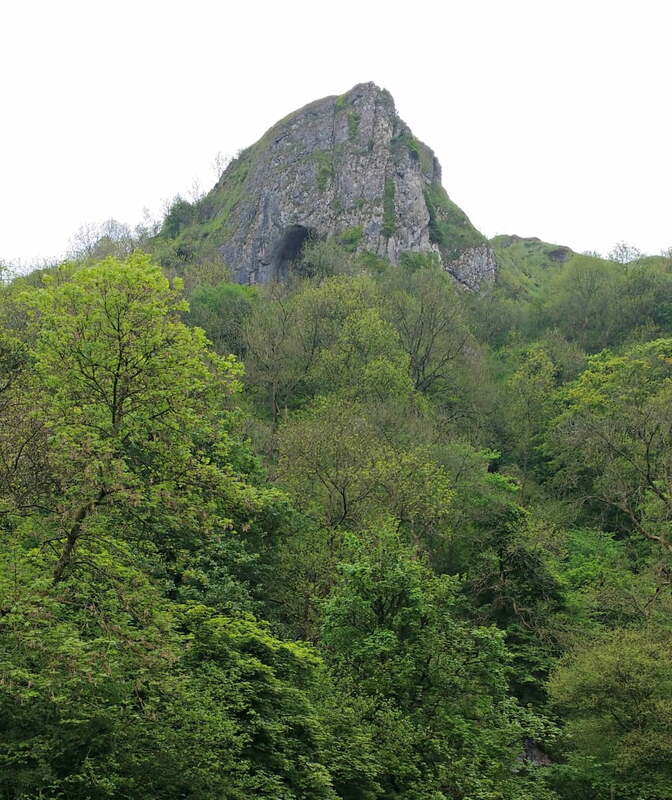 Thor’s Cave overlooks the Manifold Valley and was inhabited by cavemen in the Stone Age. It’s a steep climb up (and maybe too much for some toddlers) but you will be rewarded by fine views once you get up there. 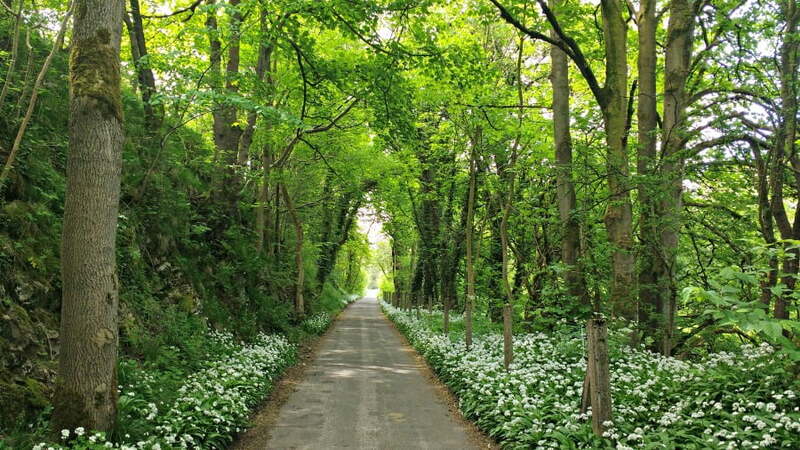 The Tissington Trail was originally the route of the Buxton to Ashbourne railway line which opened in 1899. In its heyday, it carried high speed trains from Manchester to London, and a daily train used to deliver milk from the Peak District farms to Finsbury Park in London. Nowadays it is used by cyclists, walkers and horse riders to traverse the Derbyshire Dales and explore the pretty village of Tissington. 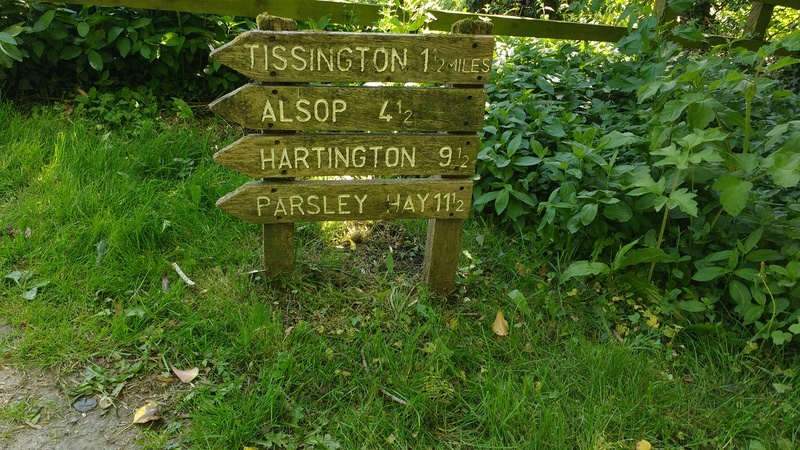 Although, the Tissington Trail is flat, we found the service to be a bit more bumpy and uneven than the Monsal Trail and Manifold Valley Trail. This wasn’t a problem for our 6 year old on his bike, but it was a bit harder for our toddler on his balance bike to ride on. Terrain: Mainly flat, but the trail can be a bit bumpy in places. Traffic Free. Things To See On the Way: The village of Tissington has a few places to eat if you are looking for a lunch stop. 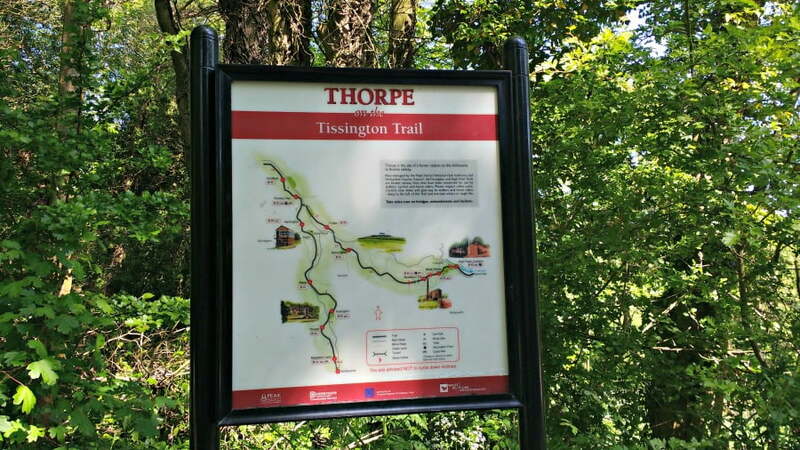 The Tissington Trail also passes near National Trust Ilam Park and Dovedale. Cycle Hire: Ashbourne Cycle Hire is a bike hire shop situated at the southern end of the Trail. The Monsal Trail is a traffic free cycling trail starting from just north of Bakewell running for 8.5 miles along the route of the former Midland Railway right through the centre of the Peak District. It is totally traffic free so it’s perfectly safe for toddlers. There is loads to see along the Monsal Trail including passing through 4 former railway tunnels, going over the magnificent Monsal Viaduct and following the path of the River Wye. Depending on which way you do it, you can also pop into Bakewell afterwards for a potter round this famous town and a slice of Bakewell Tart! There is a slight gradient coming out of Bakewell on the Trail so factor this in when deciding which way to travel. 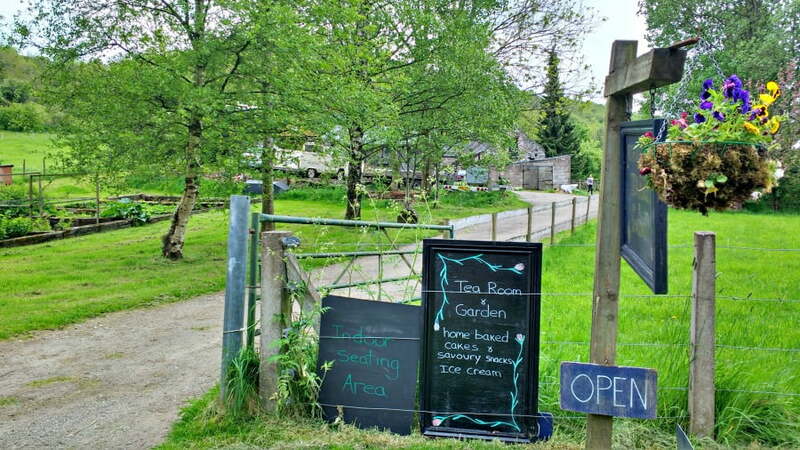 Cafes: Cake lovers will love the Monsal Trail Cake Walk http://www.monsalhead.com/caketrail.pdf, which guides visitors along the trail stopping off at traditional tea rooms, cafes and restaurants along the way. 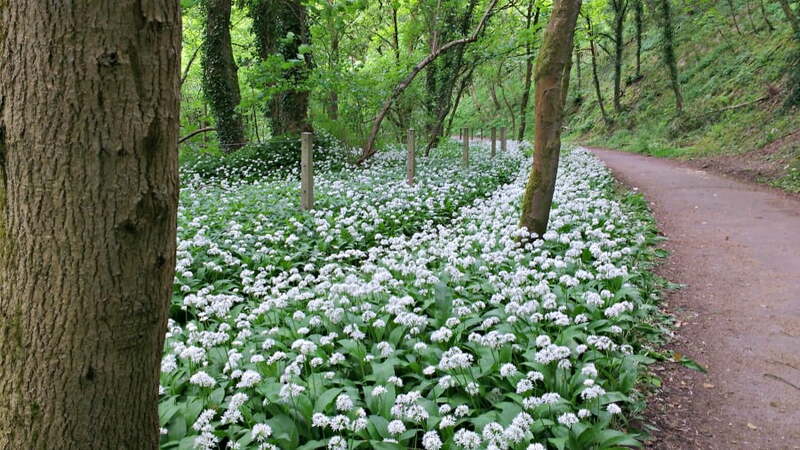 Seeing all the wild garlic in flower make me pine for Spring again.Lovely idea to go on a biking trail with kids where there’s no traffic. These look great and we love the Peak District. We have a double bike trailer to house our 1 year old and nearly 3 year old so sometimes come unstuck on cycle paths by the ‘slow down’ Sustrans gates that are too narrow to fit through which is a shame as we often try to do medium distance rides of up 50 miles and carry the toddlers balance bike with us so he can do some miles too. I’ll certainly look further into these. These look great and we love the Peak District. We have a double bike trailer for our 1 year old and nearly 3 year old but often come unstuck on cycle paths by the ‘slow down’ Sustrans gates that are too narrow for us to fit through. It’s a shame because we often do medium distance rides of up to 50 miles as a family and take the toddler balance bike in the trailer so he can do some miles too, but it always ends up being a faff with the gates. Wow – you really like your cycling! We don’t go as far as 50 miles but we love cycling too. I don’t know if you’ve ever been to the Peak District before, but it is great for cycling. There are loads of family friendly trails in the area, as well as days out at Chatsworth House, Crich Tramway Village, the Heights of Abraham and Gullivers when you need a rest from the saddle!! All that wild garlic in the first photos gives away that the photos were from spring. I imagine the trail is amazing then with the fragrant garlic as you pedal. the paths look perfect and sensible distances too. I don’t know the peak district that well but I adore cycling so if we venture up it will be with bikes! Wow what amazing cycle routes you have. 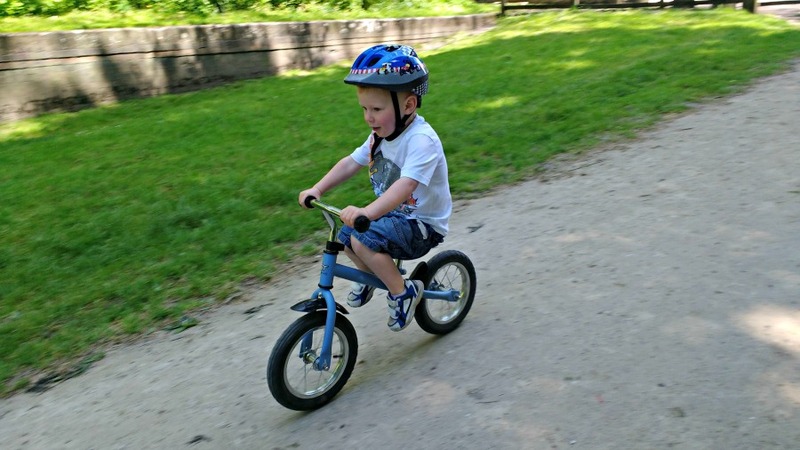 So wonderful to see flat cycle paths to help little ones learn to cycle. Stunning views too. I would love to visit Thors cave with my son. Although it sounds rather spooky. Thank you for joining us on our first week of #ChasingNature I noticed you don’t have the badge showing. If you are having trouble please contact either Tamsin at Chasing Esme or myself. I do hope you can join us again next week. Absolutely beautiful photos! I used to love cycling as a kid, and used to do it now and again when I was in my teens, but it’s been a long time since I rode a bike now. Maybe when Esme is big enough we’ll all start going again! Thank you for this. Mine kids are slightly older than this but it’s great to learn of cycle friendly routes near to where we live. I might need to wait for the summer months before getting them back out on their bike again though!